Many of us attended a moving celebration of the life of Ginny Wood, pioneer Alaska conservationists and active supporter of DCC. Cass Ray writes a detailed article about events at the celebration, held on April 7th, 2013. Other articles in the Mar-Apr DCC News rekindle the Adolph Murie vision for Denali, the role of Harry Karstens in the pioneer climb of Mt. McKinley as written in a new book by Tom Walker, The Seventymile Kid, and much more. You can see a digital copy of the newsletter at the link below. Members receive a mailed-copy and updates. The Jan-Feb 2013 DCC News is now online and will be in your mailbox soon…. Check the updates on DCC’s priorities issues and strategies for 2013. Hannah Ragland writes an informative article on proposed state of Alaska regulations regarding fracking. We discuss our upcoming Supreme Court appeal of the Healy Gas BIF. And a lot more. The newsletter is posted at the link below. Articles in this newsletter review our concerns regarding the Vehicle Management Plan, information on the agreement over air quality regulation of the Healy Clean Coal Plant, a note about our Healy Gas appeal, and other articles of interest. Click below to read a pdf of the newsletter. A summary of the Summit and some of the long term possibilities discussed there forms the cover story. Inside, see a memorial for Tom Meier by Cass Ray, and articles on Healy Gas, our Gas Permitting intern, and the new physical resource manager at Denali, Dave Schirokauer. A hefty edition with articles on Susitna-Watana Hydro project, Eva Creek Wind Farm, Alaska Stand Alone Pipeline, hunting and predator control in national preserves, and other important wildlife issues. 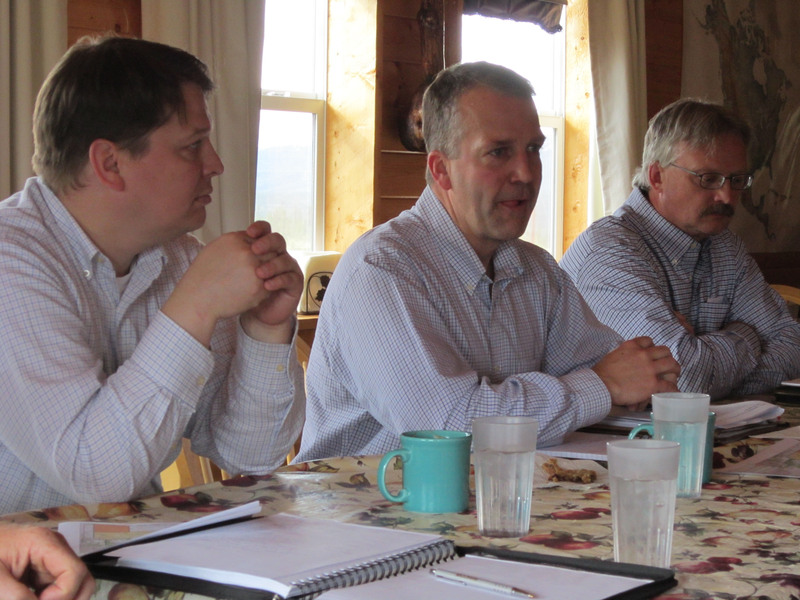 The Alaska Gasline Development Corporation (AGDC) discussed their Alaska Stand-Alone Pipeline (ASAP) plans for the Denali Borough at a Planning Commission meeting September 20th. 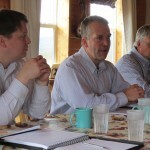 AGDC hopes to begin geotechnical studies to “evaluate the feasibility” of burying the natural gas pipeline on Borough-owned lands southeast of the Nenana Canyon. 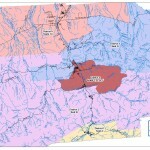 To do so, they have applied for a “Temporary Land-Use Permit” to drill two, seventy-foot-deep boreholes. These boreholes would be used to help AGDC determine how, or whether, they could bury the proposed pipeline in this area. Permit documents were available for review at the meeting, and the Planning Commission passed a resolution of support. The Mayor approves the permit, as use of the land is less than one year. A statewide right-of-way (ROW) application was approved in August, the first in a series of permits that will be necessary for the project. While much of this ROW uses existing state highway and railroad corridors (and is mandated by founding legislation to try to do so), the pipeline detours away from the Parks Highway to avoid a seven-mile stretch of the highway that passes through Denali National Park. This bypass of the park travels through Borough land before connecting with the Willow-Healy Intertie ROW (a major energy transmission line), and then rejoining the highway around Carlo Creek. AGDC will work separately with private property owners, Native Corporations, Borough governments, etc. to establish easements traveling through private property. – Thank you for Not Fracking – Molly McKinley, DCC Gas Organizer, discusses her work in the borough to educate and advocate around a recently issued gas exploration license on lands next to Denali Park. 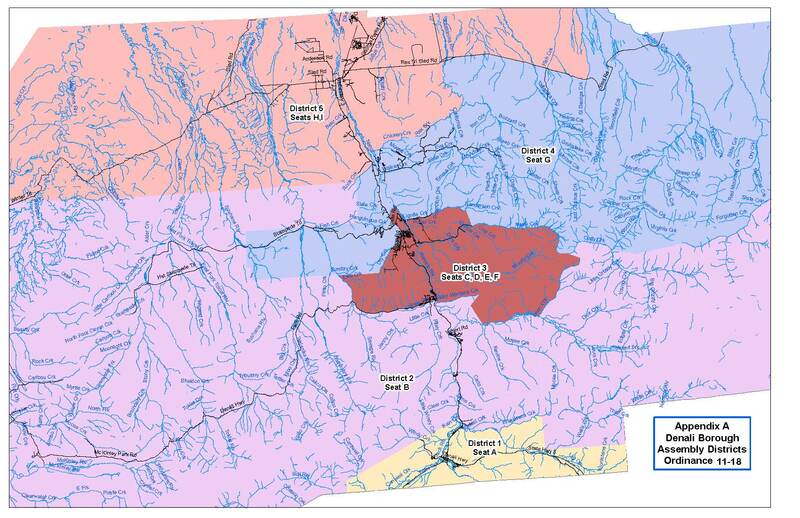 – More on Eva Creek Wind Farm, one of the largest projects proposed for the state to generate power from wind, and located near Healy, by Cass Ray. – Information on a Climate Change Research Project being conducted in the Denali Region, by Erica Watson. – A description of her Juneau experience by local student Emily Brease, whom DCC sent to Juneau for the Alaska Youth for Environmental Action Civics Summit.